All DC RANCH PARCEL 2.9 homes currently listed for sale in Scottsdale as of 04/23/2019 are shown below. You can change the search criteria at any time by pressing the 'Change Search' button below. 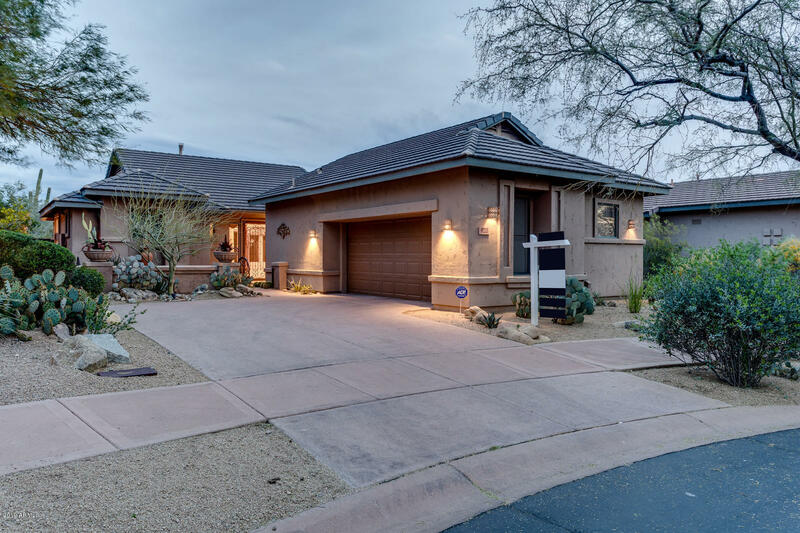 "Luxurious 2 bedrooms 2 bath home in DC Ranch set in the McDowell Mountains. The gorgeous mountain views are perfectly visible from the great room, master bedroom and dining room. This home has been fully upgraded and remodeled. Some of the home features are custom Alder cabinetry in the kitchen and bathrooms, wood thermos-pane windows and doors with designer coverings and finishes. The kitchen has an upgraded induction stove top. The home has also been custom painted with elaborate crown molding"